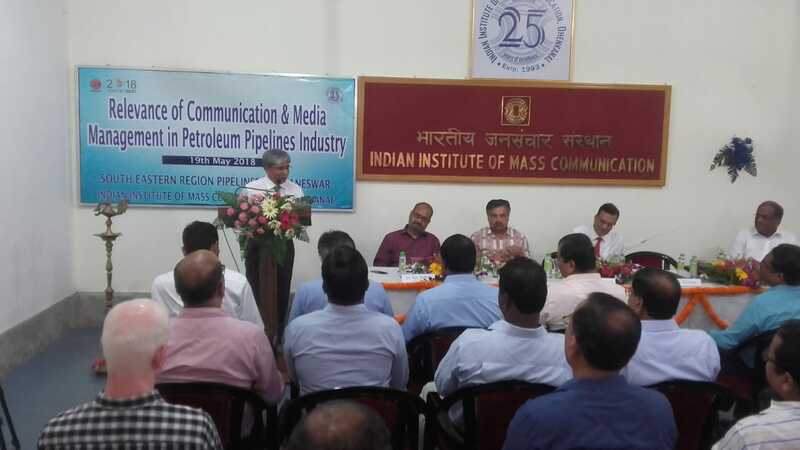 Dhenkanal: The Indian Oil Corporations Limited (IOCL) on Saturday organized a seminar on “Relevance of communication & media management in petroleum pipelines industry” here at the Indian Institute of Mass Communication (IIMC), Dhenknal. Senior professionals of the Company were informed about how they can tackle the crisis situation and emit positive messages regarding the company through media. ED of Indian Oil Corporation, Sri PC Chaubey, former Director of IOCL’s South Eastern Pipelines Mr. Anish Aggarwal, Ex-CGM(CC) of IOCL Dr. Ajit Pathak, Director of IIMC Dhenkanal Professor Dr. Mrinal Chtterjee graced the event. Notably, “Jyoti: Centre for Visually Impaired” was inaugurated by ED of Indian Oil Corporation, Sri PC Chaubey in the campus. This center will be helpful for visually challenged, not only for communication studies but also in every kind of educational empowerment for the visually impaired. On the occasion, Sri Chaubey had remarked that he was sure that their collaboration with the institute was not a one-step event but a continuous process and the Seminar was an extension of IIMC and IOCL’s durable association. Ex-CGM(CC) of IOCL Dr. Ajit Pathak enlightened the participants about the “overall dynamics of media”. The participants were quite curious in this session and they asked a lot of questions regarding crisis management and positive public relation. Director of IIMC Dhenkanal Professor Dr. Mrinal Chtterjee delivered a lecture on “how to engage with the mainstream media to the participants t this occasion.” Digital media expert Mr. Srimoy Patra deliberated on “how to use social media to reach public”.